Northside Shopping Centre under construction. Courtesy of Karen de Lacey. T here is plenty out there about Marino, Fairview, and Clontarf, says historian Cormac Moore. But Artane and Coolock? Not so much. “It’s a huge area, but there’s very little historical output,” he says. With the recent formation of the Coolock, Artane & District Historical Society, Moore hopes to change that. He and his team of volunteers aim to capture the past of the area, starting with an oral history project that he hopes will draw in all kinds of people. There’s a tendency among Dubliners to think that Artane and Coolock were only created in the 1950s and 1960s, as inner-city dwellers moved out to the area. Although for many years Coolock and Artane consisted mainly of farmland, there was always a small number of settlers living there, says Moore. But Dublin Corporation, as it was known then, undertook massive housing projects in the suburbs throughout the ’50s and ’60s. That meant new folks moving in. 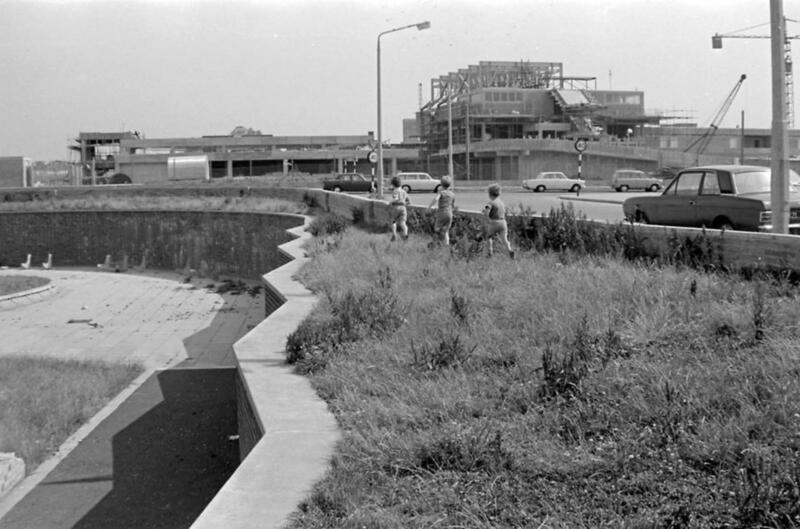 In the course of his research so far, Moore – who is Dublin City Council’s historian-in-residence for the North Central Area – discovered that these extensive housing developments in Coolock and Artane meant that by the 1960s the population of the area had exploded. There was a 91.8 percent increase in Coolock’s population and a 77.5 percent increase in Artane’s between 1961 and 1966. Many of the families who moved into the area are still there today, says Moore. And it’s time to capture the stories of that transitional period. With the historical society’s website now up and running, the plan to capture Coolock and Artane’s social history kicks off at the end of January. On 25 January, local author Douglas Appleyard is giving a talk at Parnells GAA club in Coolock on the history before the suburb was created. Following that, the society will start the oral-history project. Historian Moore plans to appoint six local interviewers over the coming months. Their job will be to speak with as many people as possible from around Coolock and Artane, to capture their experiences of the area. “We want to try get this information from people,” says Moore, who’s originally from Co. Laois. Already there’s been interest from locals, one of whom, Karen de Lacey, is gung-ho to record her area’s history. De Lacey, who works as an archivist for the Royal Irish Academy, grew up in Coolock. She was “immediately interested” in the project, she says, and recently got involved. “I’m conscious that there’s lots of other historical societies not far from us that have been around for quite a long time,” says de Lacey. There’s a wealth of history from before the suburbs were created, she says. And much to learn of the social history of Coolock and Artane from those still living there today. 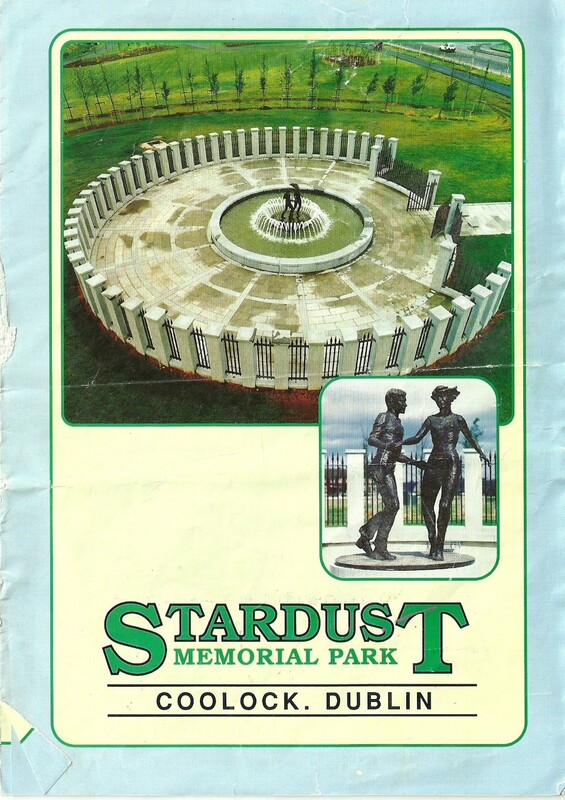 Most recently, she discovered an old pamphlet, kept by her parents, about the 1993 opening of the Stardust Memorial Park. “On St. Valentine’s Day, February 14th 1981, the Stardust Disco in Artane, Dublin, was destroyed by fire. 48 young people lost their lives and 100 more were injured,” it reads. That tragedy shook the local community, and questions still remain today about the exact cause of the blaze. Before the society was formed late last year, de Lacey began conducting her own research into the area, one seen by some as the back of beyond when the housing developments kicked off in the 1950s. 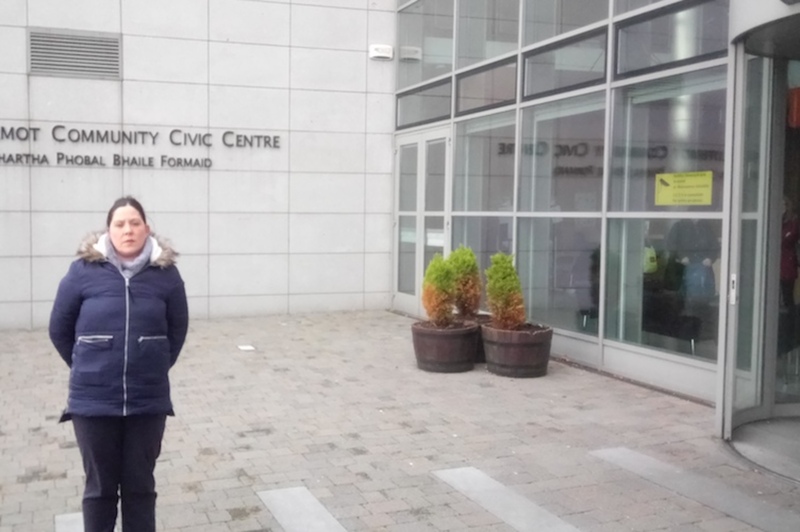 “I’ve heard stories myself that when people who lived in the city centre said they were moving to Coolock, families were saying, ‘Well, we’ll never see you again,’” says de Lacey. “It was like they were moving to Mars.” Or the Moon. One of the odder features of the area is that in 1969, several roads were named to commemorate the Moon landing, de Lacey discovered. These include Tranquility Grove, Apollo Way, Armstrong Walk, Aldrin Walk and Eagle Park. But in the middle of these roads sits Woodville Court, an anomaly de Lacey finds strange. Trawling through the archives, she discovered that Woodville Court was originally named Collins’s Rendezvous, after astronaut Michael Collins. 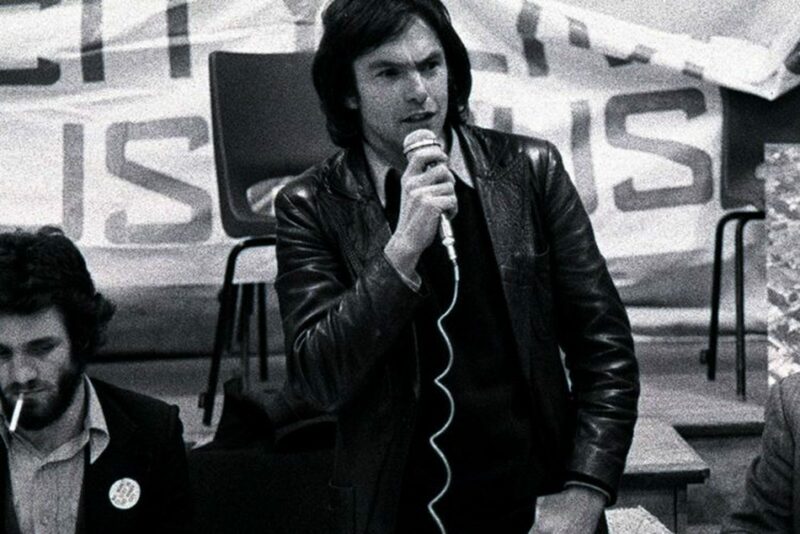 “Apparently in 1977, the residents complained to Dublin Corporation and they held a plebiscite for the residents of the estate, allowing them to vote to change the names of the roads,” says de Lacey. Residentsof Collins’s Rendezvous elected to change its name, with one headline at the time reading, “Estate Brought Back to Earth”. Moments like these are what de Lacey and Moore hope to capture through the oral-history side of the society. There’s great social history to document around Coolock and Artane too, says de Lacey. That includes the opening of the Tayto factory in 1968, and the Cadbury’s factory in 1964. The latter was built atop a prehistoric burial ground dating from the middle Neolithic period, from 3,600 to 3,300 BC. In “Chocolate and Community Archaeology” in Archaeology Ireland, Michael Stanley notes that the site is known locally as a fairy mound. Folklore surrounding the mound, notes Stanley, includes stories of a strange face that appears under the branches of one of the trees every Halloween, supposedly that of a man who went missing after he attempted to dig up the mound. That may be hokum, but it’s all part of the rich tapestry that archivist de Lacey and historian Moore hope to weave throughout 2018. They’ve set up a Coolock, Artane & District Historical Society website, and Facebook and Twitter pages too, so people can reach them. Following Appleyard’s talk at the end of the month, and the oral-history project kicking off in March, the team plan to gather their findings for storage at the Dublin City Archives on Pearse Street. And who knows, there may be a book somewhere down the line, says Moore. 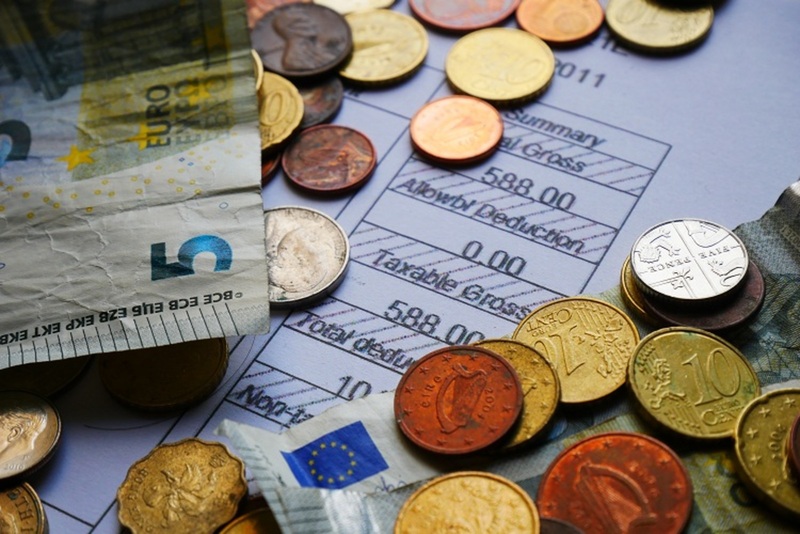 What Ever Happened to the Dublin Living Wage Initiative? 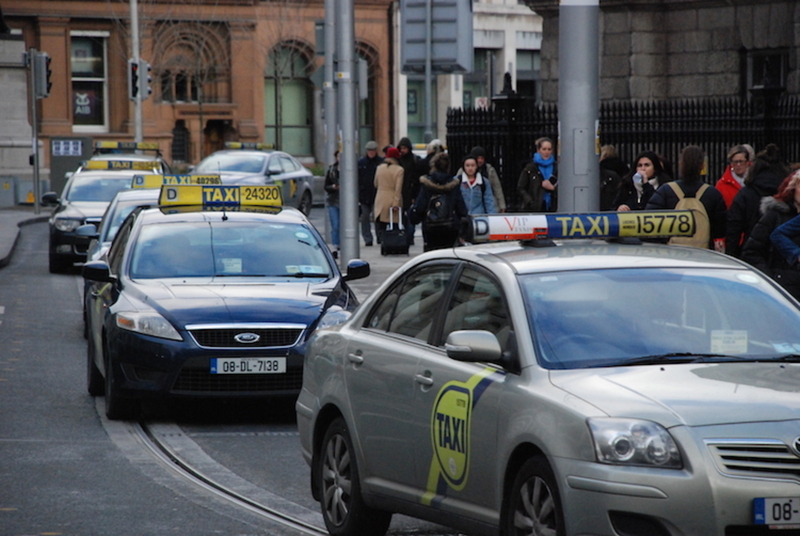 Is It Time to Tell Taxi Drivers They Can't Use Bus Lanes?